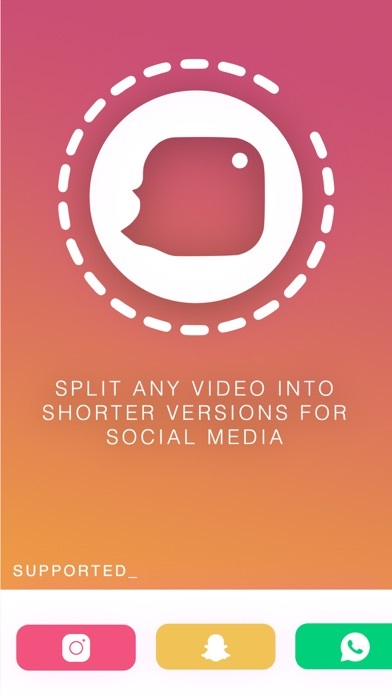 Splits lets you post videos of any length to Instagram and Snapchat. 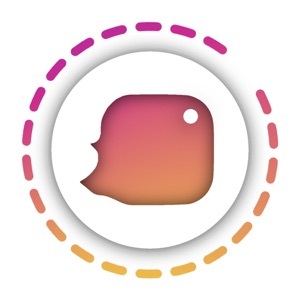 - Know supports WhatsApp and Faceåbook Stories - Splits will take any video from camera roll and split it to shorter clips, and saves them to the camera roll so that you can upload them to IG Stories Snapchat and more effortlessly. 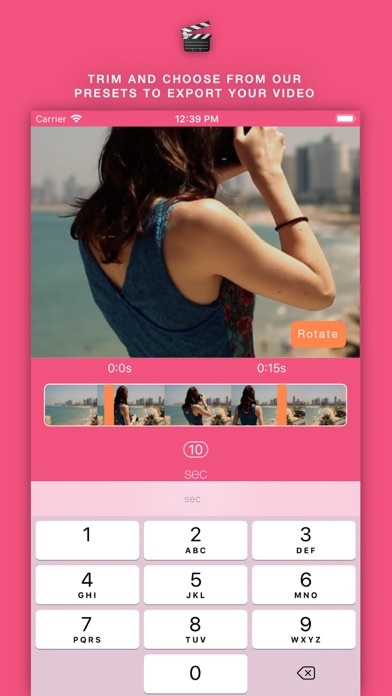 + Output videos in Highest Quality Possible + Upload* old videos - Your videos don't have to be taken within 24 hours + Clips are arranged in the correct order so you can upload to Instagram stories in the correct order with no hassle. + No Watermark, no not ever!. ADDITIONAL FEATURES: + Contact support in 2 taps - Email directly to developer's inbox + Frequent updates and new features *Splits App does not directly upload videos to Instagram or Snapchat. It saves the videos to the camera roll so that user can upload it easily in the correct order using FaceBook, WhatsApp, Snapchat & Instagram app. 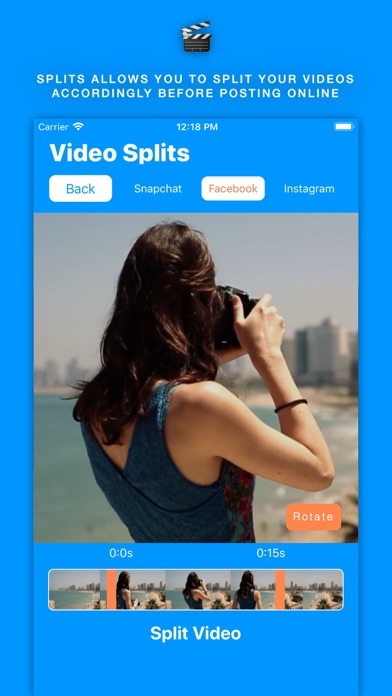 -Splits App is in no way associated with or endorsed by Facebook, WhatsApp, Snapchat and or Instagram.